As much as companies try to create a development culture and advocate for the importance of professional development, there are a host of issues that undermine the most important tool for development – an Individual Development Plan. For employees it enables them to develop new skills, knowledge, and behaviors throughout the year. For companies, when positioned correctly, IDPs can have immense and lasting impact. From creating organizational capability to increasing attraction, engagement and retention, it can create the foundation for a company’s growth and brand. There’s an old adage that you will very quickly learn about the inner workings of a company culture by asking, “how do people get paid?”. Though often challenged for his radical views of psychology, B.F. Skinner was on the mark with his theory of operant conditioning which presents the idea that behavior is determined by its consequences, be they reinforcements or punishments, which make it more or less likely that the behavior will occur again. Translating this to performance management in companies – if you reinforce employees for focusing on their development by paying them, you will encourage them to sustain that behavior. If you have no reinforcement, that focus will never develop or be sustained. Compounding the ineffectiveness of IDPs is the pattern of companies not creating an expectation around regular development conversations between managers and their direct reports. Most often, IDPs are evaluated at year-end reviews. With no discussions, feedback, or coaching throughout the course of the year, the employee is unlikely to receive much benefit or reinforcement for their development efforts. The lack of interaction signals that the development process is not important to the company and that investments of time and energy on the part of the employee will go unnoticed. And so, once again, the likelihood of employees making development a priority is slim to none. Professional development is truly no different than trying to get into shape. If you simply run a road race and read a book on yoga, it does nothing for your overall conditioning. It takes going to the gym and doing exercises on a regular basis; it takes a variety of exercises to sustain engagement and to ensure that your whole body is conditioned. Some companies have come around to the approach of focusing on the 70/20/10 rule – that is that 70% of development should be focused on experiential activities, 20% should be focused on people activities (mentors, subject matter experts, peer coaches, etc. ), and 10% should be focused on educational activities (books, classes, conferences, videos, etc.). But, they rarely, if ever, create the expectation or standard that an employee’s IDP should include this variety and breath. They settle upon just 2-3 ideas and ultimately that has no lasting impact. Employees are not really being developed; the company is not expanding its organizational capability, and IDPs become nothing more than a hypocritical vehicle of talent development and management. To begin the process of transforming IDPs and creating strategic impact, it’s necessary to take on a systems thinking methodology. Assuming your strategy is to maximize the development of all employees, you need to design a holistic system that will support your strategy. That starts with creating the appropriate accountability. An organization must establish incentives around creating and implementing IDPs. Very simply, that means that there must be some part of their annual performance review that includes an evaluation of their progress against their development plan. That evaluation should then have some impact on their rating and ultimately their compensation. 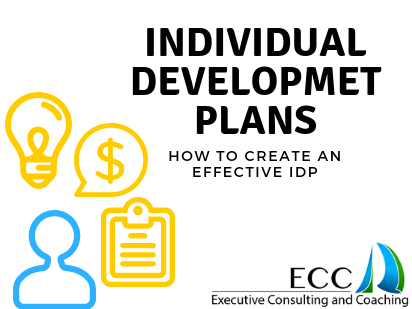 Once employees experience the correlation between their development efforts and their rewards, it is very likely that they will make their IDP a priority. Similarly, if managers are evaluated and held accountable for how well they are developing their employees, they will also make IDPs a priority. To enhance accountability further, the system needs to have a regular cadence of meetings between managers and employees to discuss their IDPs. This cadence can range between monthly or quarterly, but there must be some consistent focus around an employee’s progress against their development goals. In these meetings, there is an opportunity for managers to coach employees and provide feedback and to refresh IDPs so that they are continually engaging and stretching the employee. Associated with measures of success – How will they know if they have been successful? What will be different in 6-8 months? Since many of these concepts are unfamiliar to employees, an organization must invest in providing training and resources for managers and employees. Without foundational skills and knowledge in development planning, IDPs will never play a meaningful role in creating a development culture. To reinforce the training, managers need to review and amplify these concepts and standards with all their direct reports. Every one-to-one meeting and team meeting should be used to help employees appreciate and adopt the best practices that will accelerate their individual development. With the combined effect of accountability, regular development meetings, robust activities, and training, IDPs can and will accelerate employees’ development and will create strategic impact for the organization. 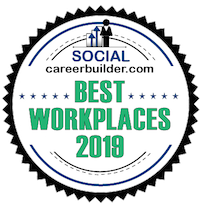 The company will see higher levels of performance, increased readiness among successors, larger talent pools, and as importantly, an increased level of engagement because of every employee is experiencing a dedicated investment in their professional development and career.